"French Classical Music of the Romantic Era"
Music in The Late romantic era blossomed in France during the second half of the 19th century, but began to be cast aside in 1913 when the onslaught of discords from Igor Stravinsky's shocking ballet "Sacre du printemps" that premièred that year in Paris, and from Arnold Schoenberg's Pierrot_Lunaire that premièred the fall before in Berlin, began to change the tastes of many French composers. 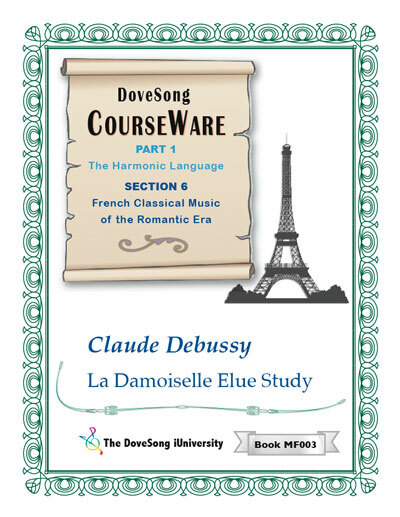 French romantic composers Maurice Ravel and Claude Debussy were both intimidated and influenced by these two composers and both, along with many of the remaining romantic composers in Paris, began to move toward the dark side by increasing the discordance in their music. However, neither Debussy or Ravel ever fully embraced the principals of this 20th-century musical invasion. In 1971, I began a renewed study of the great works of the European harmonic music tradition because I wanted to discover the music from the centuries preceding the 20th that I considered important emotionally and spiritually, and it was within the next few years that I first discovered the great French composer César Franck, whom the music professors and writers in the academic world had left behind. I have continued to study Franck's music and that of his students for over 40 years. Because information about Franck and his circle of composers was very difficult to find, and recordings were unavailable, it took me a long time to come to the understanding that César Franck was a completely misunderstood composer. This misunderstanding began during Franck's lifetime, when his enlightened music was beyond the comprehension of most of his contemporaries, even within his own family, and the misunderstanding was then perpetuated by misinformed opinions published in biographies and articles both during Franck's lifetime and after. I finally realized that César Franck was France's greatest composer! 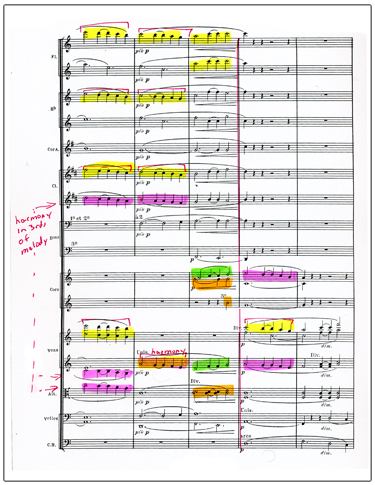 Franck created the oeuvre that he left behind from a higher level of inspiration than the 20th century was ready for, and thus it was very much disregarded by the composers and educators of that era. When 20th-century composer and educator Olivier Messiaen was asked about Franck, he simply replied "He is dead." Organists knew that Franck had created some of the greatest organ works in the repertoire, choirs treasured his single famous choral composition, Panis Angelicus, violinists knew that Franck's beautiful Violin Sonata was a masterpiece, and Franck's symphony had found favor for a while with audiences during the last century, but some of Franck's greatest masterpieces, such as his great last two operas, and his great choral works and symphonic poems are simply never performed, especially in America, nor are they available on commercial recordings. However, I am here to say that it is César Franck - and his students - who will provide the musical bridge for the European harmonic tradition to span over the destructive energy of 20th-century classical music. It will be through the discovery of this great French romantic tradition that concert halls will again resound with joyous harmonic song, helping to dispel the discords redolent of the 20th century. We will begin publishing the studies and reprints listed below during the year 2012.